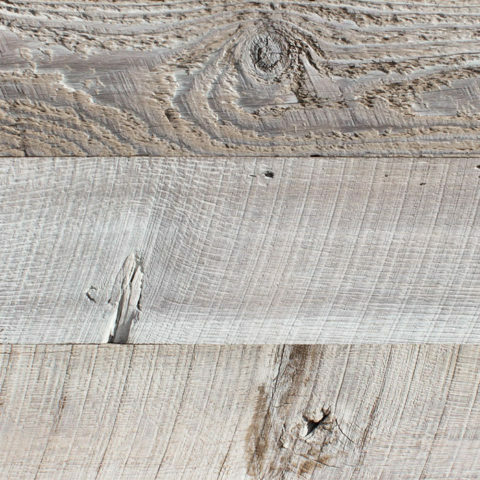 OLD SCHOOL: reclaimed barn siding - skip planed oak - reSAWN TIMBER co.
OLD SCHOOL by reSAWN TIMBER co. features ANTIQUE RECLAIMED BARN SIDING that has been sorted for all oak and then skip planed – for flooring and wall cladding. 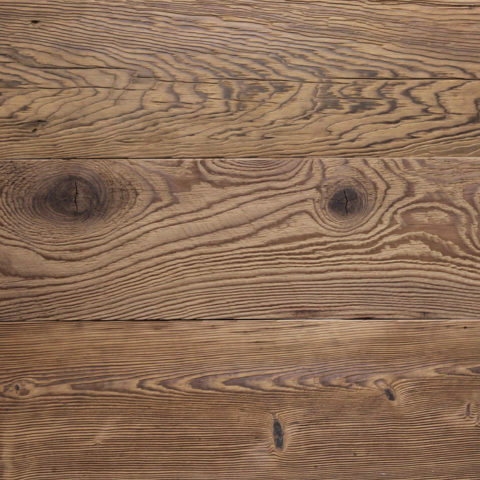 OLD SCHOOL by reSAWN TIMBER co. features ANTIQUE RECLAIMED BARN SIDING that has been sorted for all oak and then skip planed – for flooring and wall cladding. 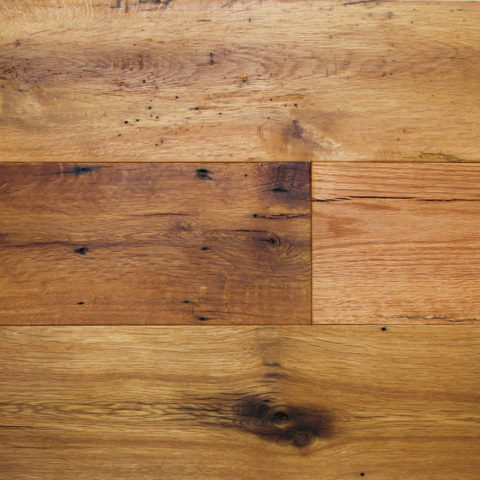 Skip planing is a process whereby the boards are put thru a planer set to only remove the high points, “skipping” over the low points to create contrast. 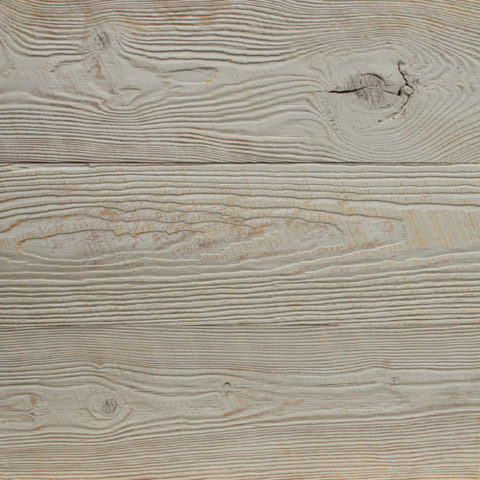 Typical character marks include mineral staining, color changes, weathering, checking, nail holes, knots, and heavy patina. 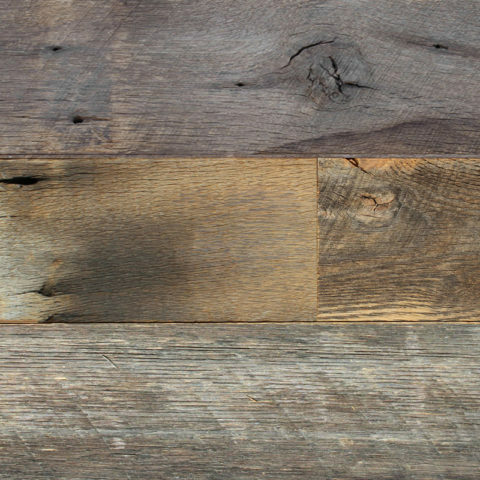 Due to the nature of this reclaimed wood, thicknesses tend to vary slightly. 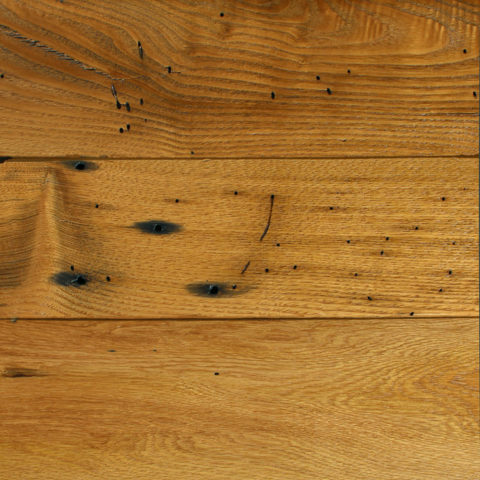 Available unfinished or prefinished with matte polyurethane.